Searching for cheap carpet installation prices in Pleasant Ridge, MI? 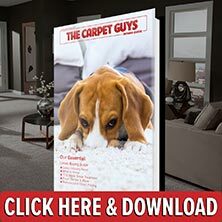 Let The Carpet Guys be the end result of your search. With us at your side, finding affordable price tags on high quality carpet has never been easier. Finding cheap carpet prices on high quality products is not impossible if you are working with the right company. Schedule an appointment with The Carpet Guys today. Looped Carpet – This multi-leveled style is dense and provides an interesting underfoot feel. Our loop style carpets are available in multi-colored looks. Berber Carpet – For a home that experiences heavy amounts of foot traffic, this style of carpet will work best. It is durable, stylish, and comes in beautiful earthy tones. Frieze Carpet – If your rooms are laid out in a casual setting, add some personality and flair with Frieze. The fibers are tightly twisted, providing a spectacular quality and look. Plush Carpet – This velvet-like carpet will dress any room with a formal setting perfectly. Experience the feel of rich velvet with Plush. If you are ready to get new carpet installed in your home, schedule a free in-home estimate with The Carpet Guys. An estimate can be scheduled by either filling out the form on our website or calling in to speak with one of our representatives. With the experience and professionalism we have, we guarantee that you will love your carpeting for years to come. We look forward to hearing from you soon.